Knowing when is the right time to upgrade your mobile phone can be tricky and often requires a lot of online research. It could come as early as when you just came out of the store with what you thought was the latest uber phone on the planet when there's a better one elsewhere. Or it could be never, depending on how well your current handset serves you. There are folks out there still using a 2002 Nokia model and they still have no plans of upgrading. And there are folks who just can't sleep soundly enough with a 2-month old handset. 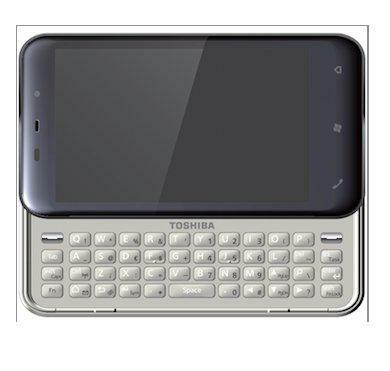 Toshiba just unveiled a few smartphones that supercede models they released in the summer of 2009. One of them is the Toshiba TG02 which, as the numeric increment in the name betrays, is the successor to the landmark TG01 released in June last year as the first ever smartphone to use the mighty 1Ghz Qualcomm Snapdragon processor. It still runs on the same Windows Mobile 6.5 that's about to be superceded by the more able Windows Phone 7 Series. And only on the promise of Toshiba that the TG02 can be upgraded to it do we relax our hesitation to recommend this phone. The TG02 is basically the TG01 that went on a diet to get slimmer and 10 grams lighter on the same elegantly styled touchscreen monoblock form factor. It gets a more responsive 3D UI replacing what many considered a clumsy UI on the TG01. You get the same gorgeous 4.1-inch wide-VGA touchscreen supporting 64k colors but it's now a capacitive touchscreen instead of resistive. Toshiba is banking on the upgrade path the TG02 has for the more appropriate Windows Phone 7 which has the native support for capacitive touchscreen that WinMo doesn't have. Outside of these marginally better features, the TG02 is essentially the same TG01. * The TG02 is a quad band GSM/GPRS/EDGE on the 2G network and is also a dual band UMTS/HSDDPA/HSUPA on 3G. It inherits the same local data connectivity features like WiFi 802.11b/g, Bluetooth 2.1 + EDR with A2DP and USB2.0. Then there's SatNav functionality with built-in A-GPS receiver that supports QuickGPS. You get the same modest 1000 mAh Li-Ion battery that can cough out 5 hours of talk time and 275 hours of standby time when fully charged. * The same 1 GHz Qualcomm Snapdragon processor powers the new TG02 which also gets the same 512 MB ROM and 256 MB RAM with microSD expandability for up to 32 GB. * You get the same mediocre imaging in the TG01 with a 3.2 megapixel autofocus camera with geo tagging that can be considered at this time or once it gets out as outdated for a flagship smartphone in any OS. But at least you still get the same excellent VGA video recording at 30fos. It front also gets a secondary VGA camera for 3G video calls. Like the TG01, the Toshiba TG02 comes with a suite of SNS apps that allow integration and instant updating of your favorite SNS sites like Facebook as well as media sharing sites like YouTube, You get the same document viewer for PDF and MS Office files including standard email client and HTML web browser.